+358 45 130 9660 | Call us now! Starts Monday 08.04.2019 at TFG: Kivensilmänkuja 3B, 00920 Helsinki. Duration: 6 weeks Beginners Course, two times per week, Mondays & Wednesdays 18:15-19:15. 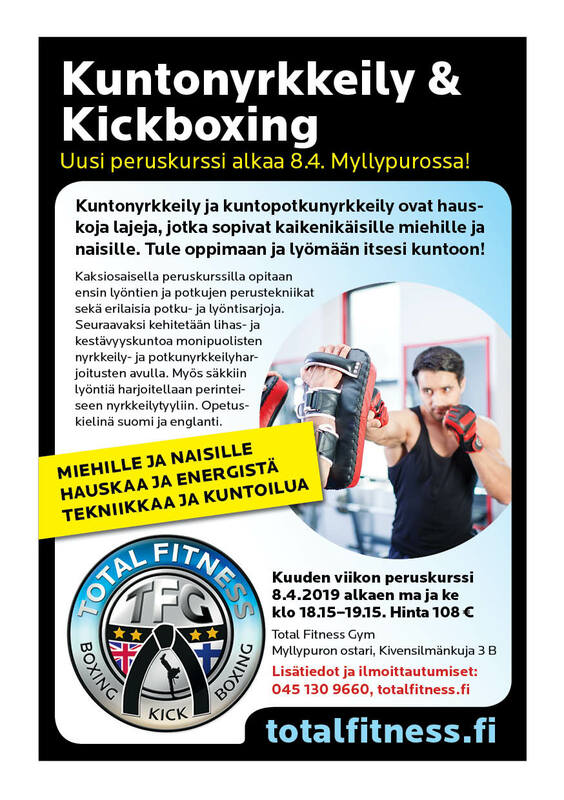 Total Fitness (TFG), will teach Basic Boxing techniques, improve Fitness with Cardiovascular training, also improve Flexibility, through stretching. Total Fitness will also include Body-weight training exercises. 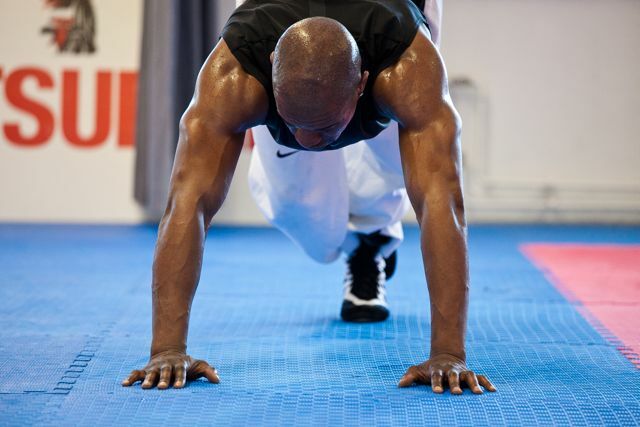 At first the course will focus on techniques and stretching with some Body Weight exercises. Part 2, of the course will develop Boxing Combination techniques and Fitness Training along with more and varied Body weight exercises. Click here to contact Total Fitness now. Total Fitness is a company dedicated to improving your fitness and meeting your fitness goals. Our training methods are designed from exciting training programs which includes Fitness Boxing, Fitness Kickboxing, Circuit-Training, Boxing and Kickboxing Techniques/Sparring Training, aimed at improving your cardiovascular system and developing your training techniques. All training is safe and our programs are designed for all levels from beginners to elite athletes. We also offer training programs for Corporate Group training and also Personal Training on a one-to-one basis in the Helsinki area. To Find out more about the programs on offer feel free to browse the website. Click here to contact Total Fitness now. I had trained for years without any remarkable results and was always wondering why is that, despite all the effort and time I put in training. The first time I left Darren’s training I already guessed: this is it – this is what I’ve been looking for, this is what I need. From there started a trip during which I’ve become fitter than I’ve ever been including my endurance, speed, muscle and core strength, flexibility and appearance of the body – yes, that’s what fitness kickboxing at its best gives you, all in one package! 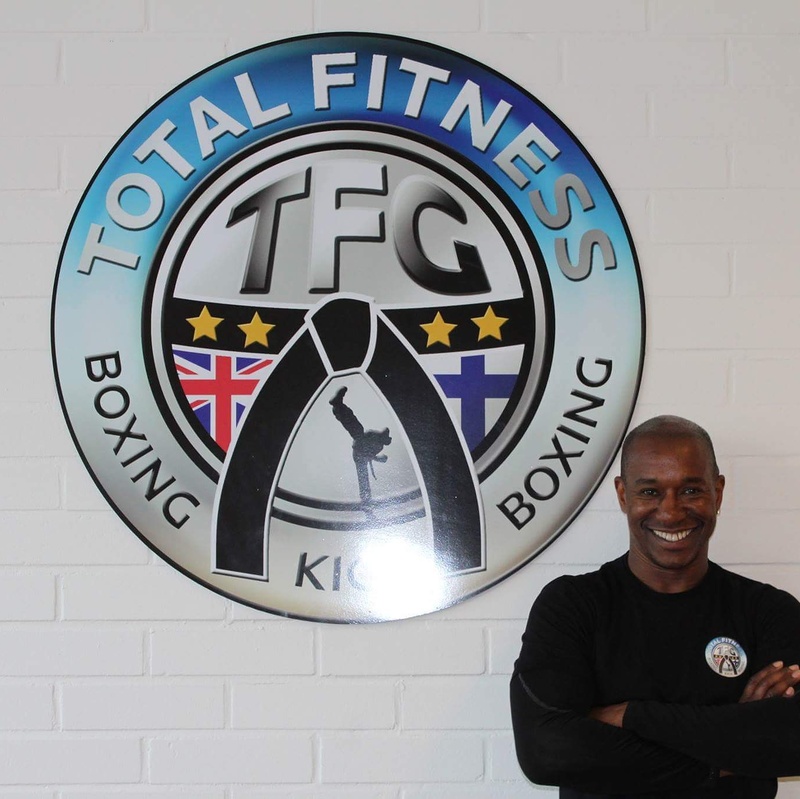 The best part is that it hasn’t only been fitness of the body that has skyrocketed, TFG training reaches onto the levels of mind and soul as well. I’ve tried many different kinds of exercising in my life but nothing ever inspired me this way. At TFG I’ve learned what to answer if hesitating voice inside me says: “Shouldn’t you give up already?”, “Are you sure you can?” or “Doesn’t that look impossible?”. The answers are: ‘Never give up!’, ‘Yes I can!’ and ‘Impossible is nothing!’. At TFG training you will be challenged diversely, supported fully, instructed professionally and taken limitlessly up to next levels when you are ready! 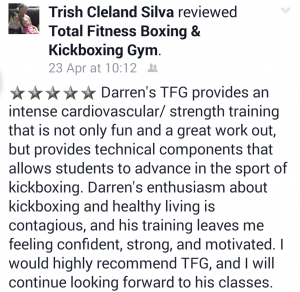 At TFG you never get bored with training as Darren seems to be an endless source of new challenges, combinations and music that gives wings for training! I can assure that anyone from a very beginner to a top athlete will find great dimensions to their training, and results are guaranteed at TFG! …….Train Hard – Live Easy!